3.1.8.10 There are often limitations on how all or a portion of a government’s resources can be spent. 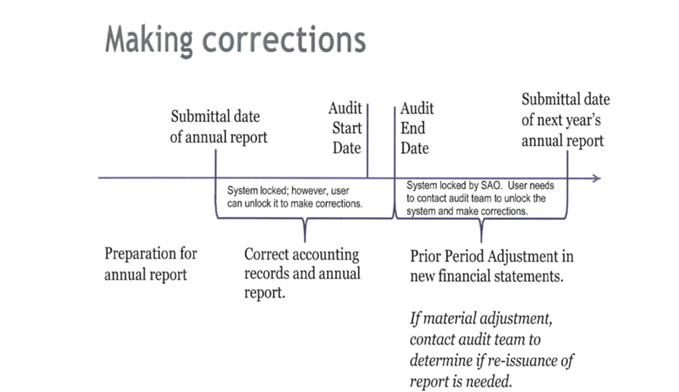 Accordingly, the BARS manual requires beginning and ending cash and investments be classified as either reserved or unreserved. 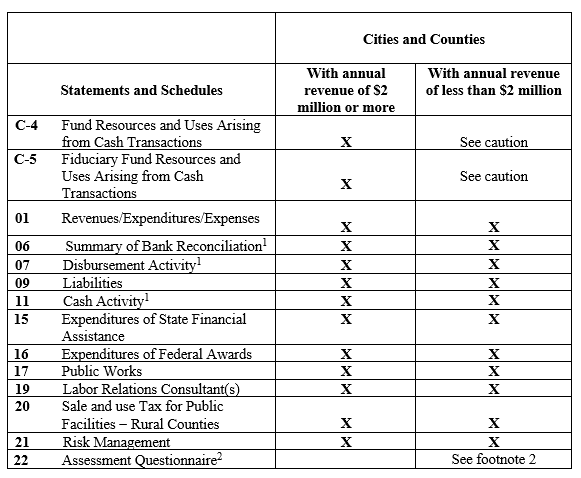 These classifications indicate “the extent to which the government is bound to honor constraints on the specific purposes for which amounts in the fund can be spent.” The classifications reflect these limitations and inform management and financial statement users how much of the government’s resources are reserved for a specific purpose or use and how much is freely available for spending. 3.1.8.20 BARS accounts 3081000 and 5081000 define the beginning and ending reserved cash and investments as the amounts of cash and investments with specific purpose or use restrictions imposed on them by external parties (e.g., enabling legislation, grantors, creditors, etc.) or from formal internal commitments. Internal commitments are specific constraints imposed by the highest level of authority within the government (board of commissioners, city council, board of directors, board of supervisors, etc.) through the most binding formal action (ordinance, resolution) that requires a similar formal action on the same level to remove them. 3.1.8.30 Bars accounts 3088000 and 5088000 define the beginning and ending unreserved cash and investments as the amounts of cash and investments without any specific constraints imposed on use or only constrained by the government’s informal or non-specific intent (constraints not meeting the definition of an external restriction or internal commitment). Any fund balance which is neither externally restricted nor internally committed is considered unreserved. 3.1.8.40 Any restrictions on the purpose or use of funds imposed by an external party constitute reservations. Any cash and investment balance subject to these restrictions must be reported as reserved. The purpose of externally restricted revenue does not need to be narrower than the purpose of the fund; however, it has to be imposed by external party. Unspent funds contributed by other governments in accordance with an interlocal agreement (contract) for future replacement of a building would be classified as reserved because they are subject to a specific external restriction. Unspent operating assessments received by a government would be classified as unreserved because such funds are not subject to specific restrictions but may be used for any allowable purpose of the government. 3.1.8.50 If the government’s highest level of authority (e.g., board of commissioners, city council, board of directors, board of supervisors, etc.) imposes specific restrictions on the use of resources through the most binding formal action (resolution or ordinance), the unspent portion at the year-end would be considered committed and also reported as reserved cash and investments. 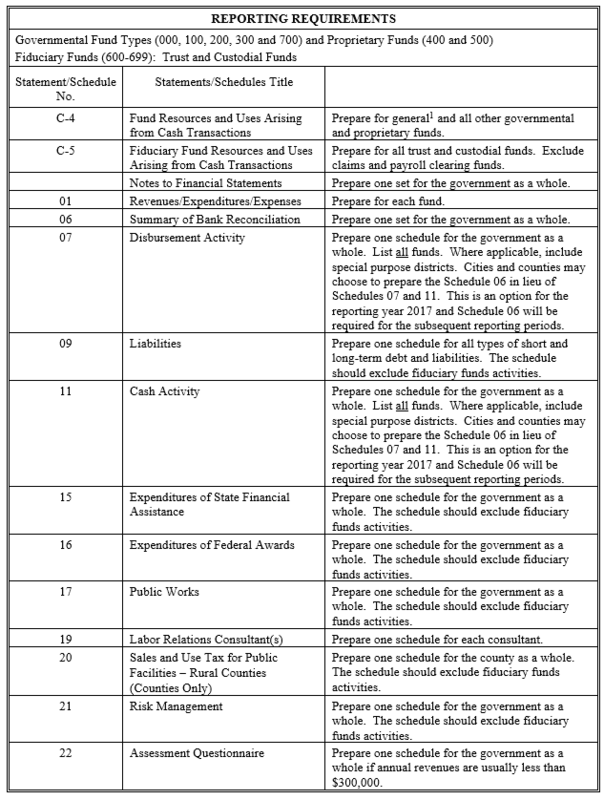 A reserve fund established by the finance department to hold money saved for future replacement of a building after verbal direction by governing body members at a board meeting would be classified as unreserved because the commitment was not established by the most binding formal action (resolution or ordinance). If the City council committed 100% of the amount in the Economic Development Special Revenue Fund for economic development, this would be classified as unreserved because the limitation is not a specific purpose but only a generic, functional limitation (which is already imposed by the purpose of the fund). 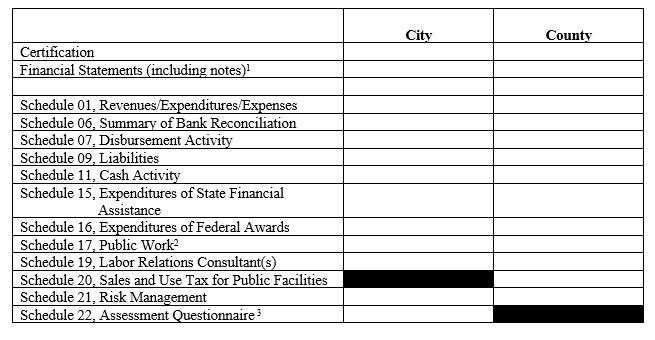 If the City council committed 100% of the amount in the Economic Development Special Revenue Fund toward completion of a particular project, this would be classified as reserved because the commitment is specific. 3.1.8.70 Budget documents approved by resolution or ordinance also do not meet criteria for classifying balances as reserved because the budget only represents the government’s authorized spending during the period, rather than a constraint on remaining balances at year end. In other words, a budget deals with plans for anticipated revenues and expenditures – resources not yet collected and expenditures not yet incurred – whereas an internal commitment imposes a permanent constraint on currently existing financial resources. All revenues generated by water sales can only be spent on water related activities and cannot be transferred to general fund to be spent for other governmental purposes. Within the water fund, unspent proceeds of bonds issued for capital improvement are restricted to this particular project (a specific, externally imposed restriction). In this case, the fund balance classification will include reserved cash and investment for unspent proceeds of bonds and unreserved for everything else that can be spent for any water purposes. Unspent hotel/motel tax would be classified as reserved regardless of whether it is accounted for in the general fund, a special revenue fund, or a capital project fund because it is subject to a specific external restriction. If the legislative body passed a resolution or ordinance to set aside (commit) a certain amount of money to be used only for hotel/motel purposes, the unspent amount would be also reported as reserved in any fund used for hotel/motel activities. The unreserved classification does not mean resources are not subject to any limitations whatsoever. It means that there are no specific external restrictions or internal commitments that constrain spending that money for any allowable use and purpose of that fund (or in the general fund, for any allowable use and purpose of the government). 3.1.8.100 Sometimes a legislative body sets aside an amount of money for the purpose of paying expenditures when there is a budgetary shortfall. Since these funds would be available for any purpose or use if needed, they should be classified as unreserved unless the resolution stipulates a way that represents an actual constraint. Even if the resolution or ordinance stipulates that the money cannot be spent for any other purpose, this limitation does not constitute commitment. Purpose refers to the object of spending or usage, rather than circumstances. That is, purpose limitations establish what fund balance can be spent for, not the circumstances under which the resources can be spent. The same concept applies to emergencies. An emergency is not the purpose of spending but a circumstance when the spending occurs. 3.1.8.110 Sometime a legislative body creates “reserve” funds through resolution or ordinance to set money aside for a different purpose. Creation of a fund and designation of fund balances are two different issues. Merely creating fund to hold money destined for a specific purpose does not automatically classify the entire fund balance as reserved. The reserve fund may contain resources from many different sources and not all of them may be restricted or committed for the fund objective. Again, the purpose of the fund is separate from the constraints and limitations imposed on all resources designated for such a purpose. When creating a new fund, please refer to Fund Types and Accounting Principles for proper fund type and reporting. 3.1.8.120 An adopted minimum fund balance policy would not meet criteria to classify ending balances as reserved. Such a policy only represents a target amount that the local government believes should be maintained to provide a reasonable level of assurance in the day-to day operations, and not a specific constraint on the purpose or use of any funds. For financial reporting purposes, such a policy may be disclosed, but would not affect classification of ending balances. 3.1.8.130 In absence of an approved policy, that the assumption is that when both reserved and unreserved resources are available for use, government will use the most restricted resources first.